A great album - the Japanese have always seemed a bit extreme or mad in their approach to jazz, and this one is no different. This is modern, compact, high energy, roller-coaster band music, with very tight compositions and powerful short solos. As an extra, you can view a short video here of one of their songs. It says it all. What can I say? Marsalis is a great trumpet player? Whatever he does, is worth listening to, just for the joy of listening to his technique. But why, why, why, has he been disciplined into a nice boy, polished and straightened? I would have loved to hear someone with his technique deliver the anger, the agony, the despair, the horror of the African American's history. Wynton! Cry! Shout! Revolt! 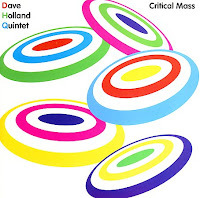 Dave Holland does it again. A great album in the same vein as Extended Play. Great musicians : Chris Potter (sax), Steve Nelson (vibes), Robin Eubanks (trombone), Nate Smith (drums), and of course Holland on bass. A pleasure to listen to, great improvisors, great musicians, great interplay, although the compositions start to sound too familiar. Extended Play revisited. Enrico Rava is the typical European trumpet player/musician/composer. The mood, the romantic expression is more essential than the swing and he is an absolute master at this. So, this all-Italian band brings melancholy to its absolute essence. Absolutely excellent album if you're in a sad mood, and if you're not, it's guaranteed to lead you there. And yet, absolutely excellent album. 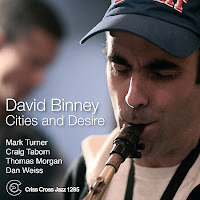 Alto saxophonist David Binney brings one of his best albums so far, accompanied by a great band : Craig Taborn on piano, Mark Turner on tenor, Dan Weiss on drums and Thomas Morgan on bass. The album travels around the world, indeed from one city to the next. Modern jazz at its best. No big surprises, but great music, a pleasure to listen to. 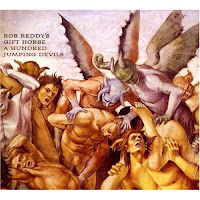 Saxophonist Rob Reddy has always had his own style, not really mainstream jazz, not really avant either, but taking a modern middle-road, selecting ideas and influences left and right, sometimes in balkan music, but definitely not on this CD. I thought some of his previous albums at times irritating because the dragging sound of both his sax and his compositions. 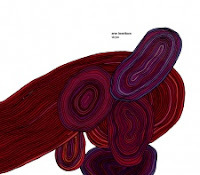 This albums is luckily different : a nice selection of strong compositions, with a great palet of instruments : Mark Taylor on French horn, Charles Burnham on violin, Brandon Ross on acoustic and electric guitars, Dom Richards on bass and Mino Cinelu on percussion. The musicians are excellent and their interplay great. The music is varied, but with focus, with great rhythms and rhythm changes. Something else for once : refreshing and accessible. Worth listening to many times. The spouses Satoko Fujii (piano) and Natsuki Tamura (trumpet) do it again : and how! Fujii is a musical octopus who can handle any form of jazz and who produces one CD after the other which are at the same time creative, interesting and varied, in terms of styles, of line-up (big band, quartet, duos, solo, ...), and with a high quantity output : 7 CDs in 2006, 5 in 2005, 8 in 2004. An overview of all these would lead us too far, but check her blog for more information. Now about this CD : it is wonderful from beginning to end. This is jazz which brings more reference to the European jazz tradition than the American, and broader than jazz per se : classical music and folk elements also have a dominant role. The first piece is the title song from their Gato Libre album "Strange Village" (highly recommended) : a sad and beautiful melody which is perfectly suited for a funeral march, in the positive sense. But this couple is not afraid to leave the beaten track, and they make that clear from the second piece : Fujii tortures the strings of her piano while Tamura brings voiceless blowing and sharp sounds, evolving into a thundering uptempo change. Then the music becomes more meditative, romantic, subdued without being mellow, the piano lightly supporting and emotionally heartbreaking trumpet improvisation. This is modern jazz of the highest level, played by a couple that has an intimate musical relationship and perfect mastering of their instruments. Fantastic! Arve Henriksen is one of the top Norwegian trumpet players of the moment. He is probably better know among the electronic ambient crowd for his bands Supersilent and Deathprod, in which he plays with electronics/sampling artists Helge Sten and Ståle Storløkken, just as he does on this one. He is more jazz-oriented with his band Veslefrekk (recommended), but he has also performed and recorded with amongst others Dhafer Youssef. I found his previous solo CD Chiaroscuro a little disappointing, but honestly speaking this is not really my kind of music. But then again. I love the immense sadness of this music, I love the sounds he manages to get out of his instrument. Ok, they are electronically changed, and yet... Henriksen brings soundscapes with minimal rhythmical or melodic support, which tend to be repetitive if present at all. These are dreamy, melancholy, beautiful sounds, well-played by Henriksen and excellently produced. Ned Rothenberg (sax, clarinet) creates something remarkable here : music which stands beyond any known genre. 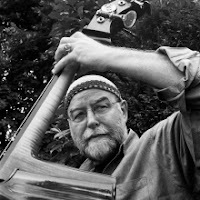 His well-known Sync trio, with Jerome Harris on bass and guitar, and Samir Chatterjee on tabla, is being completed with the master strings of Mark Feldman on violin and Erik Friedlander on cello. For the afficionadi of the Radical Jewish Culture Series of the Tzadik label : this is not the umpteenth modernization of traditional klezmer songs. This is music that stands on its own and mixes eclecticly a variety of musical genres from across the world, or rather extracts the pure essential power of expression of each of these genres in order to create something new. On their previous albums, Rothenberg's Sync already demonstrated their talent to compose beautiful melodies, forceful and odd-metered rhythms and strong improv, and this full of life and passion. But the addition of Feldman and Friedlander is a stroke of genius : it gives the music another dimension : more romantic, more classical, more depth, more timeless. Rothenberg's technique is nothing less than stunning, also on the shakuhachi, the Japanese flute, which he uses in "Minutia" as a true zen masters, as a soaring of pure sound over a multi-layered shifting muscial background. "Fuga Ladino" mixes classical ingredients with klezmer and flamenco, but in a suggestive manner, supporting the composition (I mean : this is not a circus of "watch-how-many-genres-I-master, but rather a fully functional use of the influences). "Krechtser Shpatsirn" brings a total mix, from jazzy clarinet solo, walking-bass, tabla with Karnatic singing by Chatterjee, the strings playing unisono and solo in a swirling whole. In "Fantazyor" Rothenberg demonstrates his masterly control of the circular breathing technique, in a piece which is more sober and more emotionally stronger than the previous one. This album scores high at all levels : strong compositions, intense interplay, emotional improvizations, adventurous yet accessible at the same time. In the last song moods and styles follow each other : the strings bring some dramatic menacing sounds in full power and pathos, the sax howling over a backdrop of tabla, a subtle interplay between bass and pizzicato cello evolving into group improvization and a modern classical finale. Run to the shop! For the first time in a long time Rabih Abou-Khalil goes back to the roots of his music, like what he already brought in his albums "Nafas" and "Roots & Sprouts". For those albums, Selim Kusur was the other main soloist, next to Abou-Khalil himself, on the Turkisch "nay". On this CD, this role is taken up by the Armenian Gevorg Dabaghyan who plays the "duduk", an instrument familiar to the oboe. Rabih Abou-Khalil's music is very recognizable, despite the variations in line-up he has had over the years, ranging from mini big band, over classical string ensemble to traditional world music. His rhythms are complex and change all the time, whereas his melodies with sometimes endless themes spiral en flow against these rhythmic changes, offering a pretty unique musical concept. It sounds complex, well though-through, but at the same time very natural. Furthermore, he leaves lots of space for improvization, in which he and all his carefully selected band members perform to the level of excellence. As an oud-player Abou-Khalil is totally different from Anouar Brahem or Dhafer Youssef. Brahem has a very soft touch, while Abou-Khalil has a more percussive approach (and you hear the sound of his guitar pick) and he goes much deeper emotionally when improvizing. I love the way in which he can sustain lower tones, then pauzing and leaving some space, then again playing some long sustained notes, building up the tension and in an almost minimalistic way creating emotional depths (or heights if you like). Dabaghyan's duduk is a totally different instrument from the ney, it has a more sentimental tone, even mellow at times, but that is luckily only apparent in the opening piece. Michel Godard is divine as usual, this time not on his tuba, but on the serpent, a medieval reed instrument producing bass tones as well, and in Godard's hands even an instrument for soloing. Percussionist Jarrod Cagwin is also a perfect fit for this kind of music, with a rich variaty of musical traditions in his bag. This is not jazz, not comparable to The Cactus Of Knowledge or Journey To The Center Of An Egg, yet it's the same musical adventure, full of variation, emotional, melodic and rhythmic power. In the face of all the mediocrity we are bombarded with, this album offers a refreshing piece of genuine art. 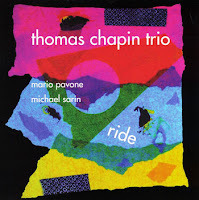 This is Thomas Chapin's last recorded live date, at the North Sea Jazz Festival in The Hague in 1995. Chapin died from leukemia in 1998 at the age of 40. 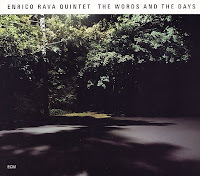 This is one of his better albums, and as often his trio consists of Mario Pavone on bass and Michael Sarin on drums. The band is at its peak, after having toured for years, and they play with conviction and with joy. Saxophonist Chapin, a student of Jackie McLean, is hard to pigeon-hole. He is first and foremost one huge powerhouse of energy, and his music often starts with themes which are close to riffs in rock music. The anger which is typical for rock or punk music is often present in his performances, yet he is not afraid to be melodious and even sentimental, like in his cover of The Beatles' Ticket To Ride, but his music is always paradoxically rough and sensitive, energetic and contained, powerful and soft. His compositions are also not to be under-estimated. He could suddenly stop melodies, give them a quick rhythmic turn, and then change the whole thing again into a third variation, and all this at top speed, requiring fantastic concentration and interplay from the musicians. "Pet Scorpion" on this album is a nice example of this. The whole CD is full of intensity and the joy of playing. At the festival, their performance was sandwiched between their own musical heroes : Jackie McLean and Roy Haynes preceded them, and David Murray, Fred Hopkins and Andrew Cyrille played right after them. This fact obviously gave the trio wings. A great record. I have most of Henri Texier's albums, with the exception of his latest, "Alerte à l'Eau" published in February of this year. But why do I have all his CDs? Well, that's very simple : this guy knows what music is all about, and he has his own modest vision on it. He is a phenomenal bass player, who manages to keep the ground tone while being very melodious at the same time. Furthermore, he integrates many influencess in his music, starting with French folk music, of which he changes the often joyful melody into a jazz-format : extending and stretching the melody, putting the accents differently, and making the sound a little bit darker, more emotional. A "Texier melody" is hence easily recognizable, and that is also the case on his CDs with Louis Sclavis and Aldo Romano. But it doesn't stop there. 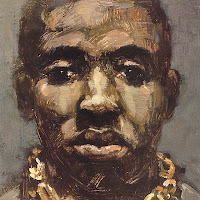 Also Arabic and African influences find their way easily and imperceptibly into his music. He made his best albums with his Azure Quintet : the same players as on this album, but with Bojan Zulfikarpasic on piano, and Glen Ferris on trombone : "Mad Nomads", "An Indian's Week" and "Mosaic Man" are easy to recommend. Especially Bojan Z's piano is worth listening to : he adds some extra Balkan rhythms and melodies into the mix. On two of his other CDs ("Izlaz" and "Colonel Skopje") Steve Swallow joins on his electric bass. A quartet with two basses, that's something different, yet it works. Ok, but why then choosing Remparts D'Argile as the record of reference? Indeed, it's film music, and very often film music is boring if you don't have the pictures that go with it, but that is definitely not the case with this album. I find this album excellent because it reduces Texier's music to its bare essence : the power of rhythm, melody and improvization. After the complexity of arrangements is being filtered out, what remains is raw emotion : joy, sadness, dispair, fear. Tony Rabeson is great on drums, but Sebastien deserves praise for the variation he brings on sax and clarinet. And Henri? Well, as usual he is carryng the whole building, inconspicuous as most foundations, he soloes, he carries the rhythm, he puts the accents, he propels the other players forward, he even pushes to swing once in a while ... And the music? The music is absolutely gorgeous. 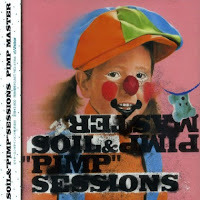 Great melodies, perfect dosage of interplay and improvization. Actually, the great thing about this CD is that you don't need the movie. The music is powerful enough. 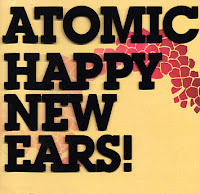 This is the fourth CD by the Swedish/Norwegian band Atomic, with the Swedes Fredrik Ljungkvist on clarinet/sax and Magnus Broo on trumpet, and with the Norwegians Håvard Wiik on piano, Ingebrigt Håker-Flaten on bass, and Paal Nilssen-Love on drums. And you're right about Scandinavians, they have their own approach, ... and guts and vision. Whether it's this band, or musicians like Nils Petter-Molvaer or Arve Henriksen or Eyvind Aarset or Bugge Wesseltoft, they're not afraid of adventure, regardless of the direction they're taking (fusion ambient electronic industrial acid ...). Atomic also goes on an adventure trip, but then within the idiom of the "classic" jazz, and that makes this band so exceptional. Without adding elements from outside jazz, they recreate it with its own means, purely acoustic, without mixing style elements, and yet this music has the signature of Atomic : carefully composed, with improvisation, but don't be fooled : the most "free"-sounding pieces are often composed, the sudden spontaneous interplay by the band is too good for that. They change the so-called "telephatic" interplay of the improvisation into a compositional element, ... and therefore the music sounds carefully crafted yet very expressive. This makes the music accessible and still modern. On top of that, they master all the sub-genres of jazz, from bop, over latin, cooljazz, freejazz to post-bop, and this combined with an almost perfect mastering of their instruments : a real joy to listen to. Atomic keeps close to the essence of jazz: music with soul, with recognizable melodies, with lots of improvisation, strong rhythms, emotional power, yet sounding like they're playing in your living room. And the sound is wholly theirs. Great! This album, and the other three are more than worth checking out. 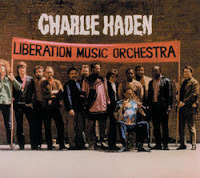 These are the first two albums of Charlie Haden's Liberation Music Orchestra, a band with which he has recorded with various line-ups with a frequency of one album per decade (1969 "Liberation Music Orchestra", 1982 "The Ballad Of The Fallen", 1990 "Dream Keeper", 1999 "The Montreal Tapes", 2005 "Not In Our Name"). The music in this series brings a combination of traditional Central American (march) music, big band and free jazz. The overall tone is descriptive and liberating at the same time : the music tries to capture the suffering and the struggle of the oppressed masses, yet at the same time it tries to liberate by breaking the boundaries and rules (and the revolution is also a musical one). You can hear the armies marching, the mothers crying, the leaders perorating, the wounded moaning on the battlefield, praise being sung to the heroes. To hear a band consisting of jazz icons such as Haden himself, Don Cherry, Carla Bley, Jim Pepper, Mick Goodrick, Dewey Redman, Paul Motian, Michael Mantler play a triumphalistic revolution song with the title "The People United Will Never Be Defeated", sounding like your local brass marching band, is something unique, and even more so once it collapses into Haden's beautiful, serene "Silence", with a slow big band unisono sound, and Cherry's trumpet soaring above the melody like only he can do it, just to evolve again into a contemplative piano and bass duo in "Too Late". Sentimental? You bet, and for the full 100%, yet it never becomes too mellow or shallow. Therefore the antidote of the improvizations works too well. This is a clash of two musical styles, which have nothing in common, and even are each other's opposite. This contrast is the strongest on the first album, emphasizing the chaos and the despair. Both albums have a "suite" structure, the themes flowing into one another, with varying line-ups in the same piece, seamlessly moving on from screeching free jazz blowing over Spanish guitar to a bass solo and marching band music. Memorable compositions are Haden's gorgeous "Song For Ché" and Ornette Coleman's "War Orphans". 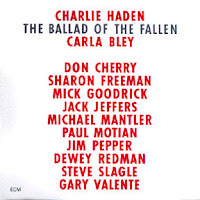 On "The Ballad Of The Fallen" the music is more controlled, the compositions more outspoken, and the difference with the later CDs is that it does not decline into the programmatic political sentimentalism of "Not In Our Name". 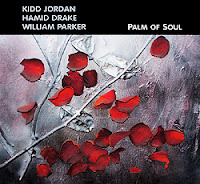 And on both albums Haden takes the space to demonstrate his improvisational genius on bass, a combination of technique, esthetic beauty and emotional expression. Not to be missed. 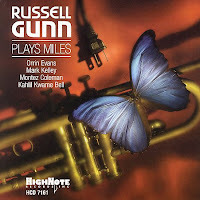 Russell Gunn is a fine trumpet player, but this CD does not add anything to the party. He may have lots of respect for Miles, but his versions of the master were destined to fail : weak, without vision or character : Miles harnessed into the mainstream, without passion, emotion or blood. A great disappointment. 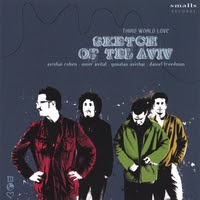 Allaboutjazz recommended this album and the musicians, especially Avishai Cohen (the trumpet player) and Omer Avital are indeed excellent. It's just that they don't seem to know what to do with their material. The drumming however is below standard. Creativity and musical vision are absent. David Murray with the brothers Oles on bass and drums. Excellent sax trio, with amongst others a great rendition of Ornette Coleman's Law Years. In contrast to the previous CDs, Murray knows what music is all about. Available for download on Emusic. I didn't know Barretto (see my earlier review on him) but this Portuguese bass player is really worth checking out (also on Emusic). On this trio the guitar is the most important solo instrument, but Louis Sclavis adds his bass clarinet on three pieces. Emotionally strong, powerful music.